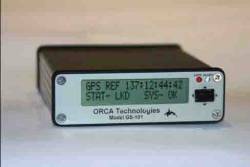 ORCA Technologies LLC, a recent start-up company — but one whose principals come with a long background in GPS timing instrumentation — has introduced the Model GS-101 GPS/IRIG-B Synchronized Time Code Generator (STCG). Incorporating Trimble’s 12-channel Lassen iQ module, the GS-101 is positioned as a low-cost, high-performance STCG with a basic unit price of $1,795. When operated in the GPS mode, time and rates are precisely referenced to coordinated universal time (UTC) or, when operated in the IRIG mode, time and rates are referenced to the IRIG generating source. Time, position and status are available on RS-232 I/O and USB ports. Product specifications are position accuracy of less than10 to 20 meters SEP (spherical error probable) and a timing accuracy of ±100 nanoseconds to UTC (GPS), using GPS L1 frequency signals. The company also offers the Model GS-201 magnetic mount GPS antenna. The unit weighs one pound and measures 4.72 x 3.07 x 1.06 inches. With the Model GS-101 STCG, ORCA Technologies is targeting camera, traffic light, 911 applications, power utility, and computer applications. 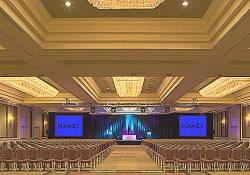 According to the company, the GS-101 can provide the drive for large format wall and console time displays. In addition its small and rugged packaging is ideal for portable or dynamic applications. ORCA Technologies, based in San Clemente, California, is a spin-off of Geil Marketing Inc., a manufacturers sales representative firm headed by Gary Geil. 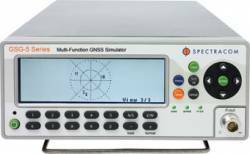 Among other product linesd, Geil Marketing handles Symmetricom timing, test, and measurement products. ORCA hopes that the GS-101 will take the place of a niche opened up by the discontinuance of some lower-end Symmetricom products. Geil and an associate, Don Mitchell, have been involved with sales of GPS timing instruments since the 1980, when they worked at Datum. For more information, contact ORCA Technologies, 934 Calle Negocio Suite B, San Clemente, CA 92673; website, telephone 949-361-0212, fax 949-361-0312.